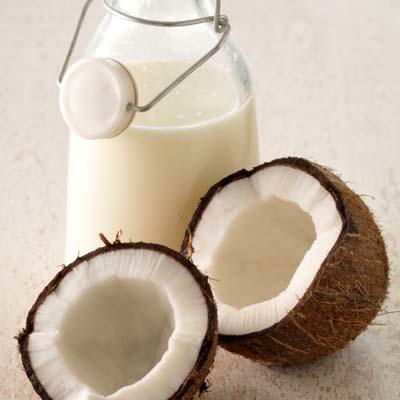 AWWWWWWW SOOKIE SOOKIE NOW!!!! As if the 15% discount code wasn’t awesome enough … that’s right!!! 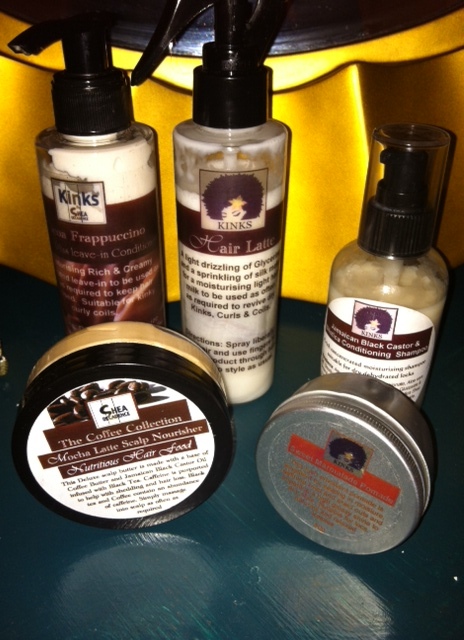 Eboni is donating TWO EboniCurls 4-piece Ebonnet sets for a HAIRSCAPADES GIVEAWAY!!! This just gets better and better!! 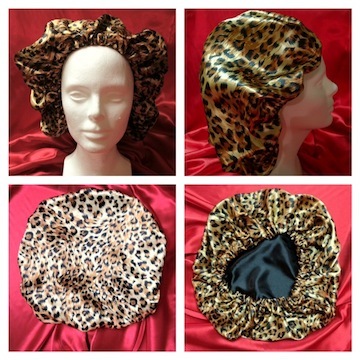 Want your chance to win a red or chocolate Cheetah Dreams set, which includes a double-lined Ebonnet, contrast pillowcase and TWO scrunchies? Well here’s all that you have to do!!! Comment below to confirm when you’ve done both AND, in honor of Mother’s Day, tell us why your mom rocks and/or why you’re a rocking mom ;)!! All subscribers, old and new, are eligible!! Just make certain to Follow, Like, and Comment as instructed above!! 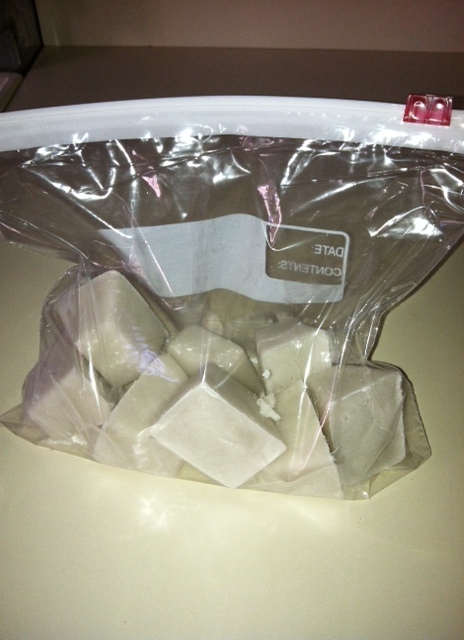 A winner will be selected at random within the week following the close of the giveaway! The deadline for entry is Mother’s Day, Sunday, May 12th, at 11:59 pm. It’s been a while since we’ve had a discount code around here!! 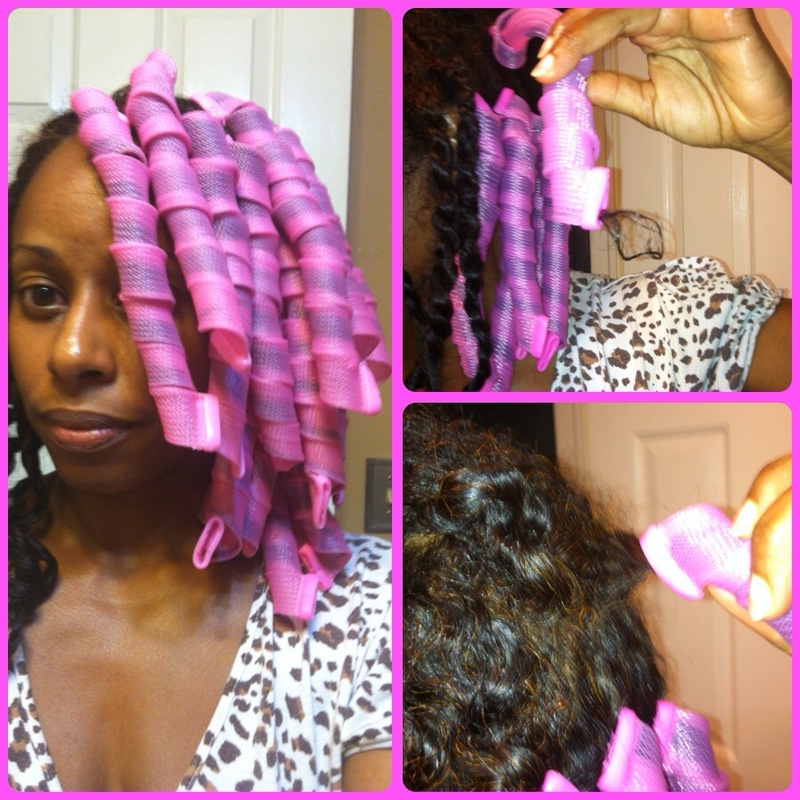 So, why not bring it back with one of the most popular giveaway items that I’ve every shared, the EboniCurls Ebonnet!! (I know some of you have been eagerly awaiting this. ;)). 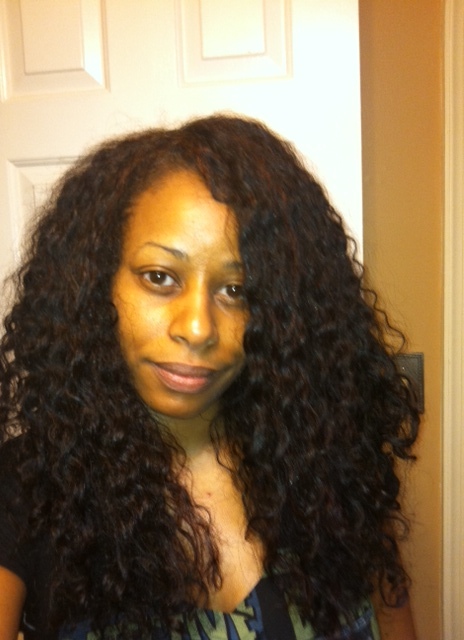 From now until Mother’s Day (11:59 pm, 5/12/13), get 15% off of all EboniDreams Ebonnets at EboniCurls.com!!!! 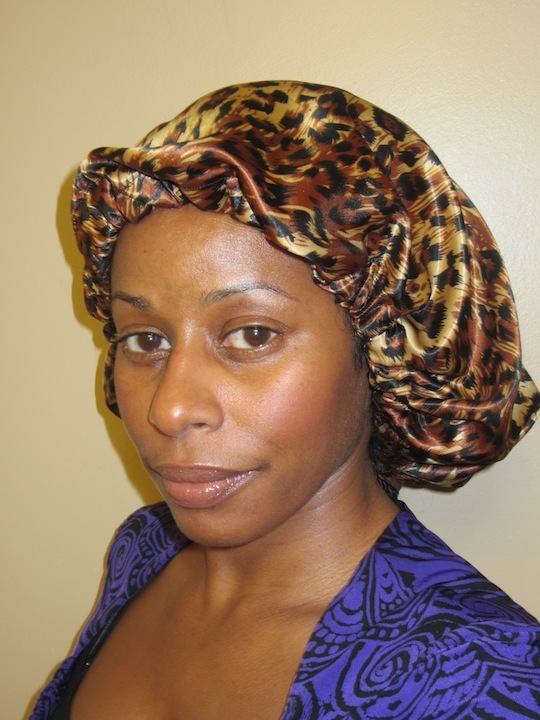 Wondering what’s so awesome about these bonnets? 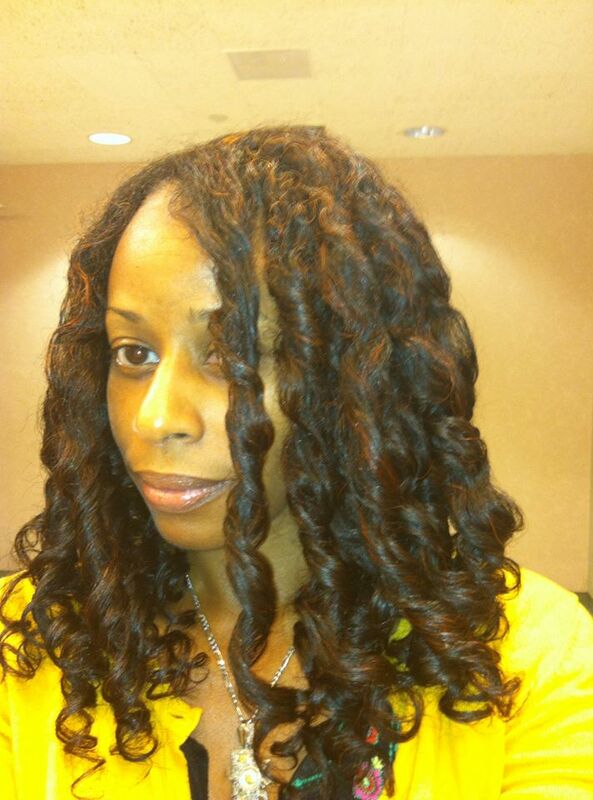 Then check out my review here: EboniCurls Ebonnets Review. 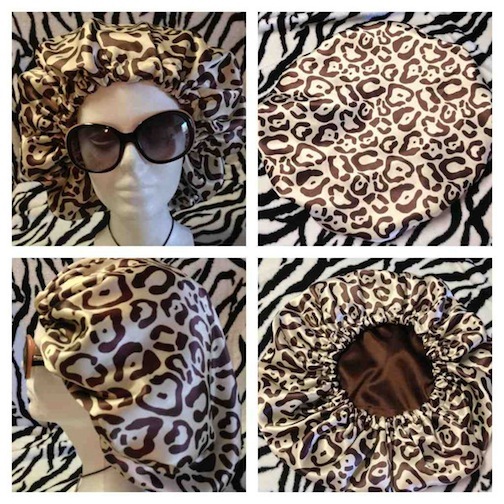 Just enter coupon code HAIRSCAPADES15 at checkout (excludes S&H) to get 15% off of as many bonnets as you’d like (1 for you, 1 for sis, 1 for your bestie, 1 for mom of course!!)!! Have at it!! 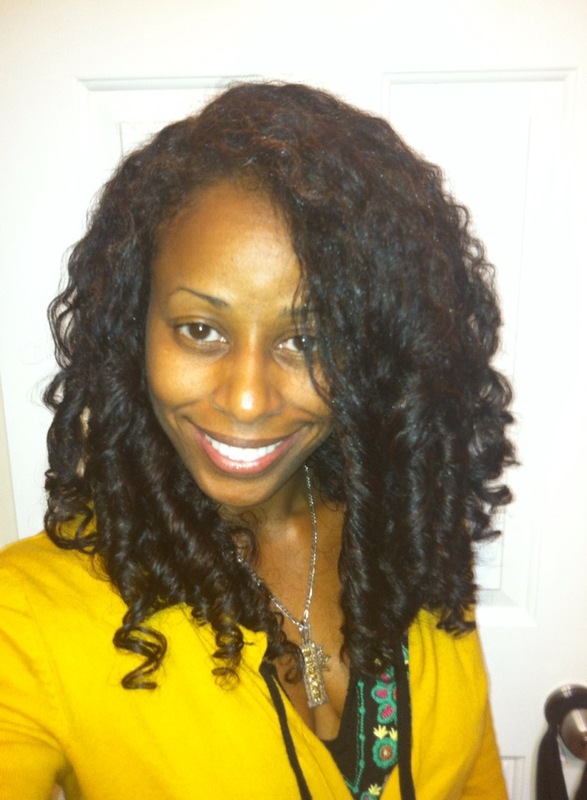 For up-to-the-minute news on restocking dates, new designs and prints, Like EboniCurls on Facebook!! 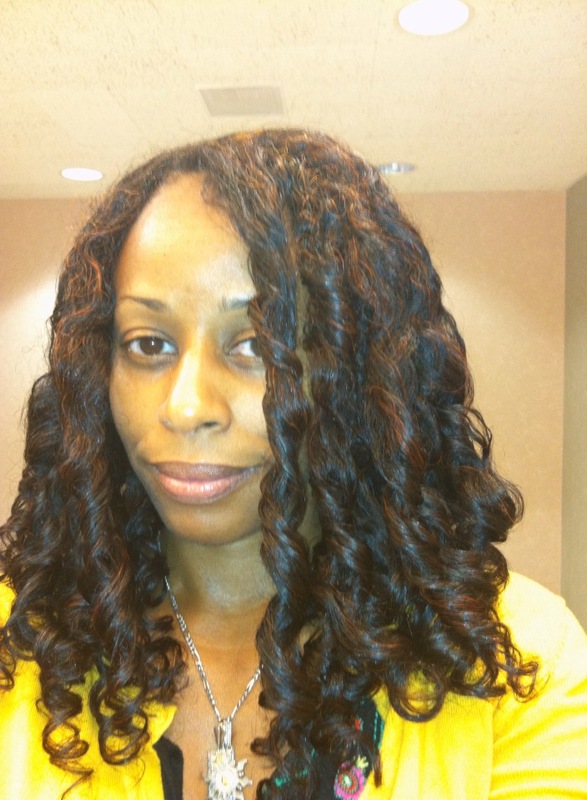 Over the course of the last month or so, I’ve been seeing videos of ladies using wrapping techniques to achieve heat-free, “blown-out,” natural hair. 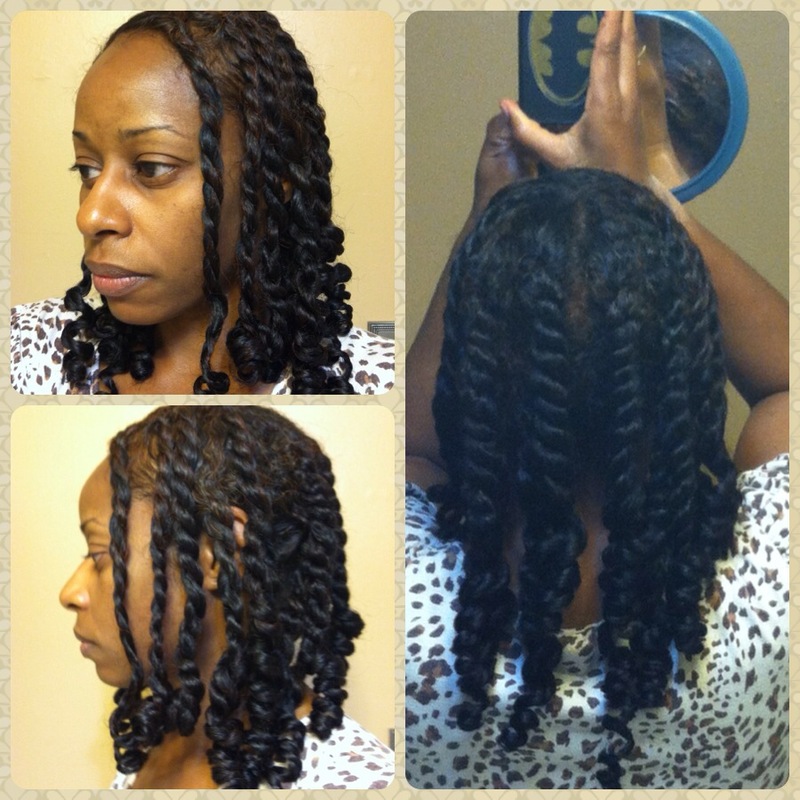 Then, a couple of weeks ago, I came across this video by Naptural85 using wrapping to maintain smooth, stretched curls overnight! Hmmmmm … interesting!! 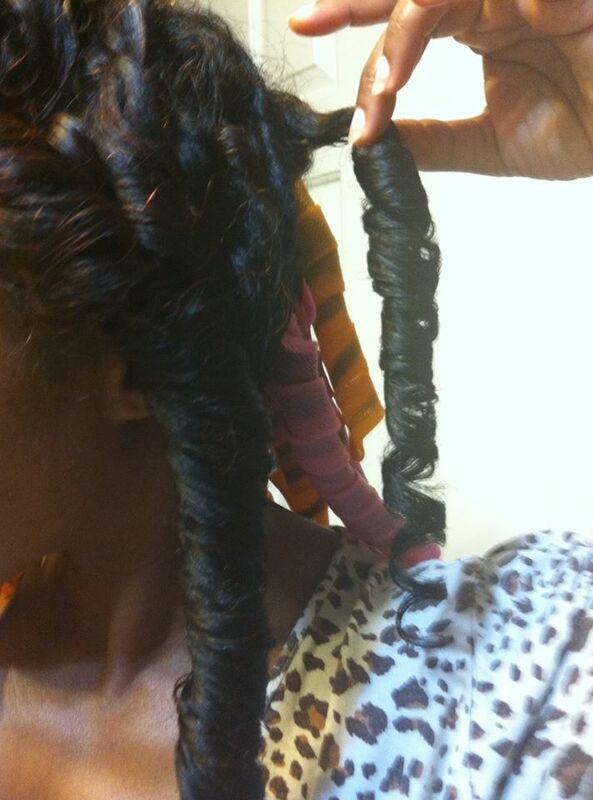 Wrapped curly hair!! Who woulda thunk?! 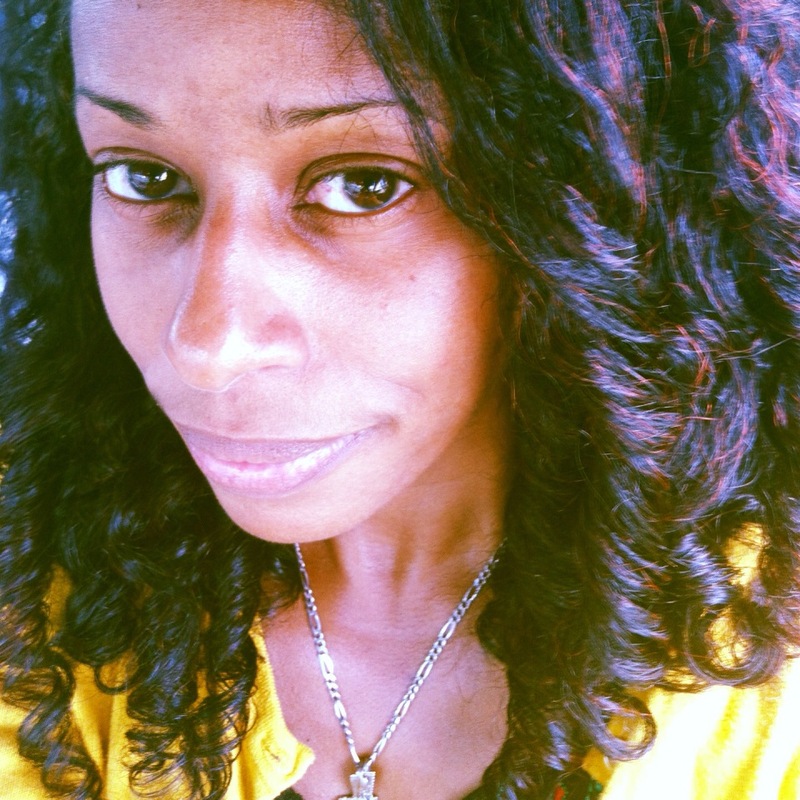 *lol* Anywho, I had been loving the results from re-twisting/braiding my hair at night (I was getting great multi-day hair), but my strands were NOT loving the daily manipulation. 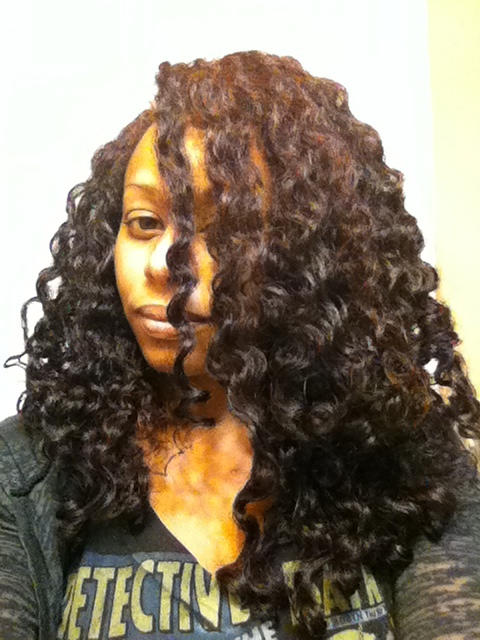 So, I decided to try the wrapping technique to achieve good day two hair from the dry twist-out I’d done with Cantu leave-in and Eco Styler gel (here). Not bad!! 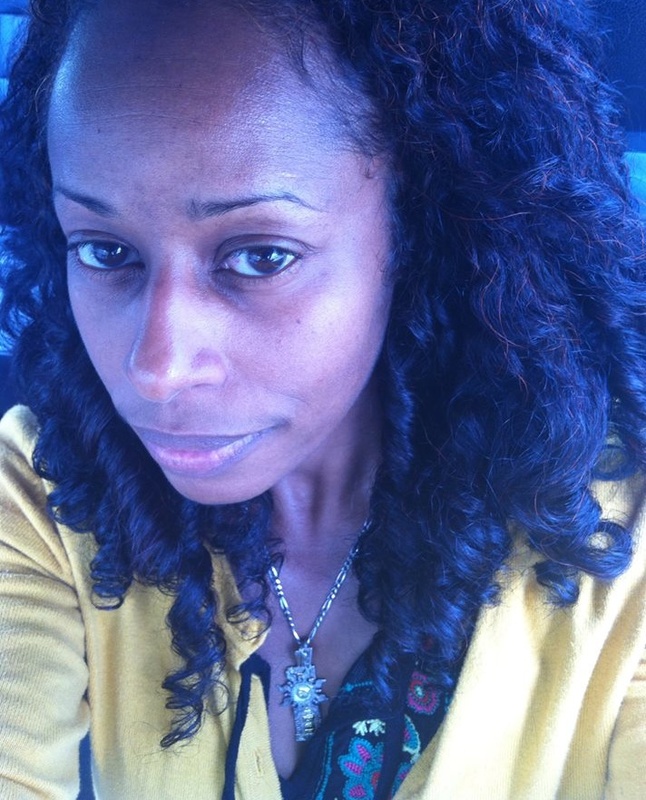 By the end of the first day, my hair had frizzed and poofed just like Naptural85’s. The wrapping technique worked to smooth and calm the frizz, just like it did for her. 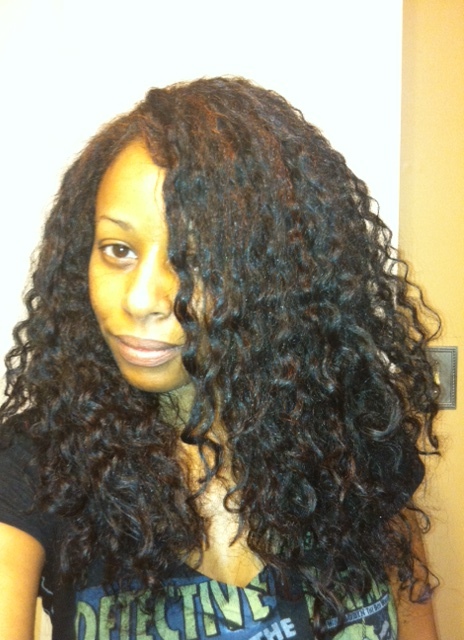 But, the thing is, it really did stretch my hair more than I would want on day two. So, I didn’t do it again after that first night. I find that loosely bunning my hair overnight helps tame the frizz and preserve the curls, with some stretching, but not as much as seen with wrapping. Therefore, I don’t think that this will become a “go to” overnight maintenance technique for me. 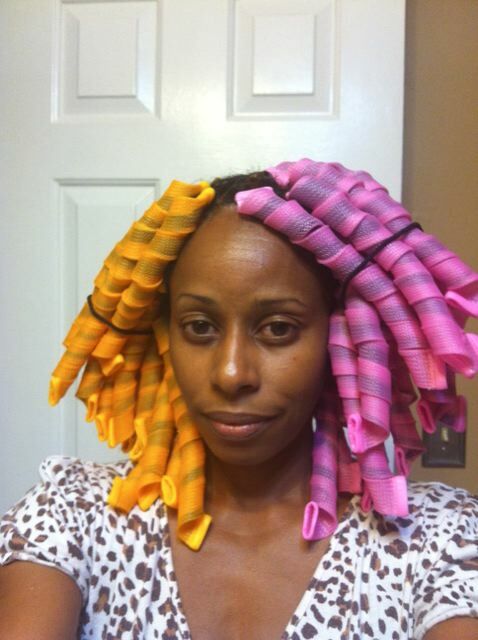 But, I’ll keep it in my back pocket for days where I want to achieve stretched and controlled curls! 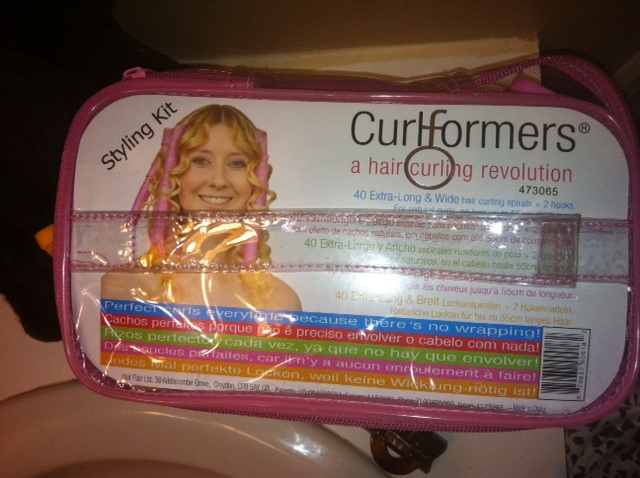 And for those seeking ways to stretch their curly styles, this may be just the ticket!! 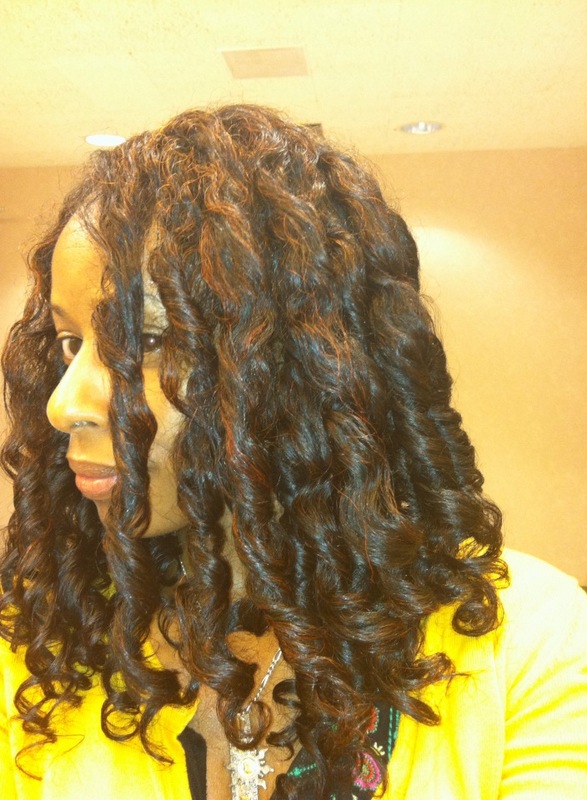 Have you tried wrapping your curly natural styles? If so, how did it work out for you?